This time I just popped a bag of store bought butter flavor popcorn. 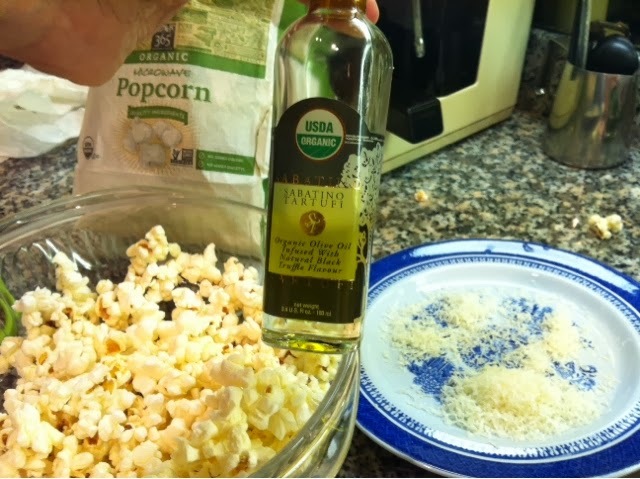 When popped, drizzle it with truffle oil liberally and grated Parmesan cheese. I grated my own.